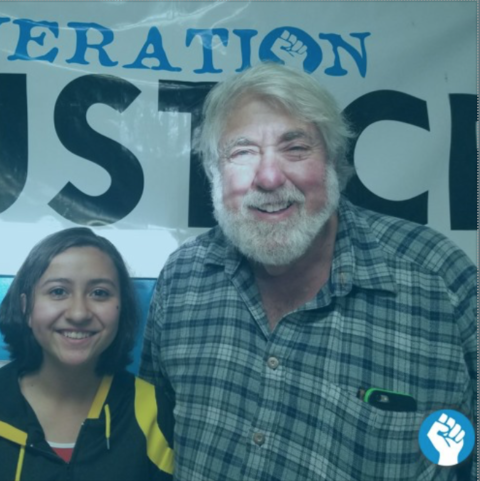 On Generation Justice, KUNM 89.9FM, Bianca Mitchell, MACCS student and GJ youth member, sat down with Mark Rudd. Mr. Rudd is an organizer and non-violent activist who has worked locally on issues of Native American land rights, nuclear, U.S. military interventions, Palestine solidarity, unionization, environmental justice, and war & militarization. He is author of “Underground,” a book about the history of his activism and occupation of five buildings at Columbia University. Tune in for a special conversation around the history and vitality of community organizing.